Whilst in Edinburgh, I picked up the two pairs of shoes you can see, also the white floral dress and the gold bangle. Yep, I told you I have been rather spendy lately. I have to admit, I can be a poor one for buying shoes, I love them and everything, but I never seem to think to buy a pair that often. Oh how this has changed though as I came back from my trip to Scotland with two pairs. 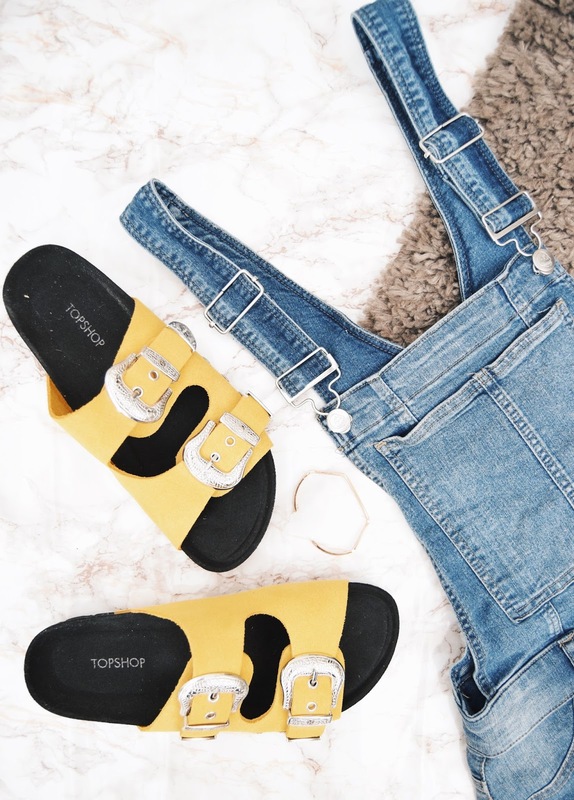 The first begin, the yellow pair of Birkenstock type sandals from Topshop that I've has my eye on for a while. They're very bright and quite loud but they're comfortable and will certainly add flare to any outfit! 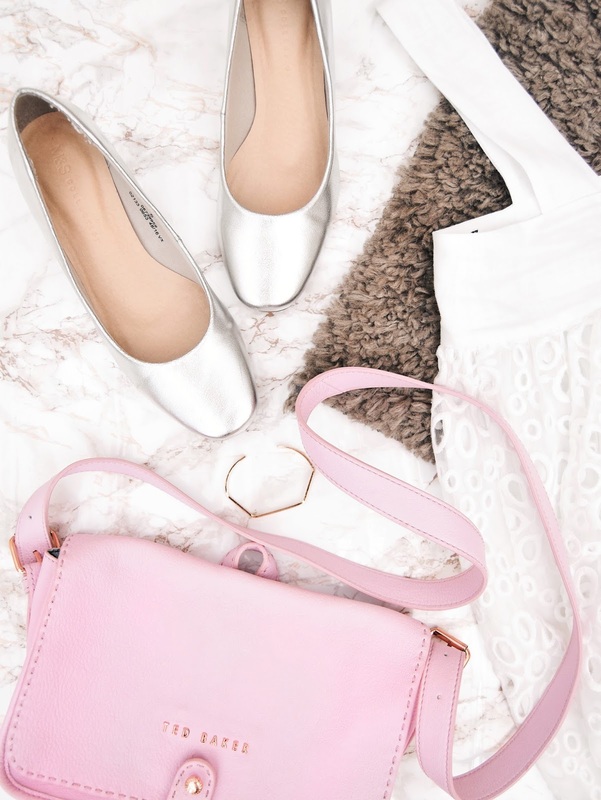 On the more sophisticated front, are the pair of heeled pumps I picked up from Marks & Spencer - they will jazz any outfit up and they are honestly so comfy - gotta love sensible padded soles to shoes! Some accessory picks I'll be turning to for definite is the geometric gold bangle, found in a little independent shop, down a little street in Edinburgh. As I have quite slim wrists, shopping for bangles has always proved tricky. But, this bangle seems the perfect fit, its very small and sits perfectly on my wrist. 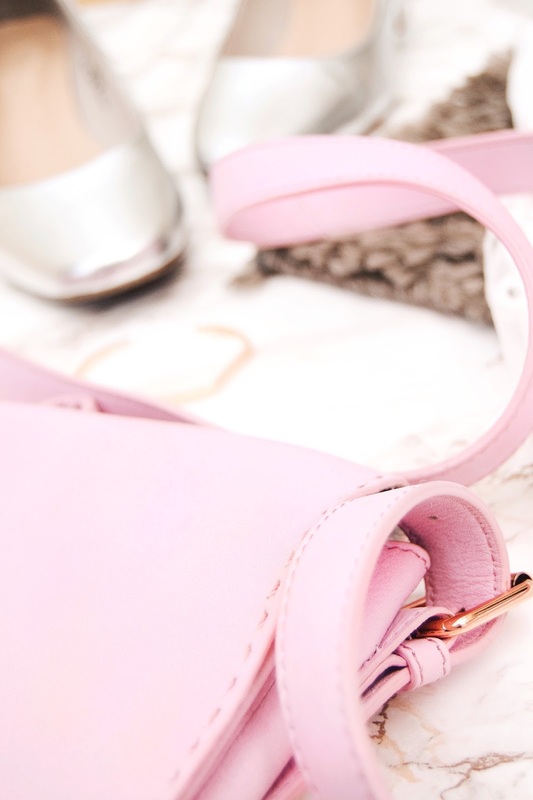 With the Ted Baker bag, I actually picked this up a few years ago, but year on year it makes an appearance at this time - to be honest, pastel pink doesn't seem appropriate in winter. As the bag is quite a good size, it actually fits EVERYTHING. Its so so practically and is a really lovely pop of colour! I know what you mean. My student loan has come in and the stores have so much in that I want to purchase for the summer seasons! I am looking to get myself some dungarees. 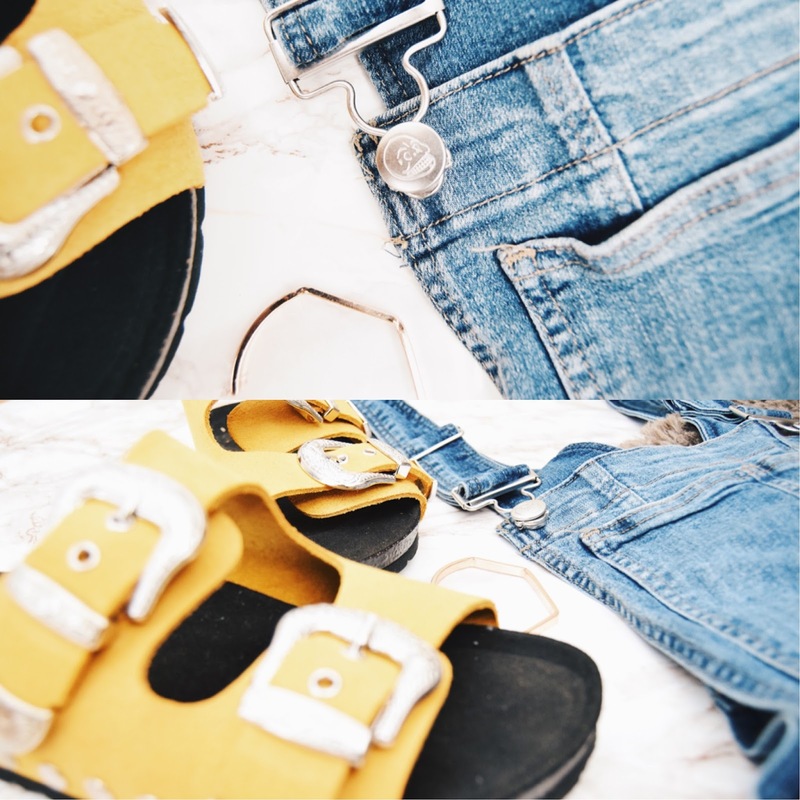 I am in love with these yellow sandals, yellow is my favourite colour at the moment in terms of fashion. I'll have to take a visit to topshop!